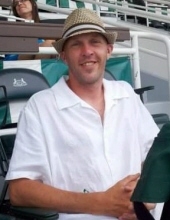 Matthew Peter Pryblo, III, 46, of La Porte, passed away peacefully at 9:56 p.m., Thursday, April 4, 2019 in his home. He was born June 8, 1972, in La Porte, to Matthew and Janet (Groenendal) Pryblo. Matthew enjoyed and excelled at all sports, especially hunting, gaming and martial arts. He will be remembered for his special sense of humor, his kindness, and his smile. Surviving are his parents, Matthew and Janet Pryblo; two brothers, Tim (Becky) Pryblo and Paul (Cristin) Pryblo; two uncles, Jim and Paul Groenendal; and four aunts, Grace (David) Swinson, Ellen (Ken) Teitsma, Julie (Marty) Shamo and Marge (Al) Taylor. Preceding in death were his maternal and paternal grandparents. A memorial service celebrating his life will be held at 3 p.m., Saturday, April 13, 2019 at Lakeview Funeral Home and Crematory, 247 W. Johnson Rd., La Porte. Visitation will be held from 1 p.m. until time of service. To send flowers or a remembrance gift to the family of Matthew Peter Pryblo III, please visit our Tribute Store. "Email Address" would like to share the life celebration of Matthew Peter Pryblo III. Click on the "link" to go to share a favorite memory or leave a condolence message for the family.